Lincoln is nearly a perfect film. From the opening scene until the last moment it is compelling, emotional, beautiful, and sophisticated. Lincoln tells the story of our sixteenth president’s struggle to end slavery in the United States. The film’s focus is the passage of the thirteenth amendment. 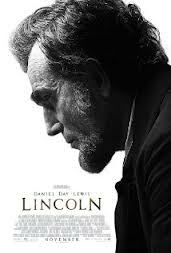 The characterization of Abraham Lincoln in this movie is without equal. While watching we forget that this is Daniel Day Lewis playing the role of Lincoln, and we assume that that we are getting a rare glimpse at the real man. We see his quiet strength, his grandfatherly character, his unyielding commitment to the United States, and his struggle to do the right thing. Lincoln is not simply an examination of historical events. It is a revelation. It shows us the complexities of politics in every age. It allows us to consider the difficulties of taking moral actions and standing on conviction. We see through the struggles of Lincoln and his contemporaries that, much like today, choosing the way of righteousness is never as simple as it sounds. We see that rigid ideology can rarely become reality and that pragmatism often comes into conflict with good intentions. Where some historical films can get bogged down by the weight of their subject, Lincoln maintains a brilliant balance of seriousness, fun, humor, and heart wrenching emotion. It was way better than it was going to be. And whereas most political movies go all over the place storyline-wise this movie was focused and presented a certain point in Lincoln’s life – the passing of the 13th amendment. It was all the better for being focused. This is one of Spielberg’s best films and Day-Lewis was simply amazing.